As most of you know I had decided to take upon me the (perhaps rather crazy) task to already start reading for my tutorial during the summer holiday. Well it sure has kept me from feeling bored. So far I have finished 4 out of the 15 books and I am actually ahead of the schedule that I had created for myself. As such I thought this would be a good opportunity to give my opinion of the books that I have read for those who are interested. The first book that I have read was Death in the Victorian family by Pat Jalland. I really could not have started my journey with a better book. It contains a lot of information on Victorian death, mourning and funerals and the mentalities towards it. Instead of burying her reader under a mountain of pure facts (as many an author does), Jalland has chosen a different path. The facts that she incorporates in her book are illustrated by excerpts that she encountered in private journals and letters (these make up the bulk of the examples) as well as in literature and poetry. The book is divided in two sections, the first is about death and the second about mourning. To be honest, I could not help but think that Jalland would have done well to give up such a distinction as in the first section she already pays a lot of attention to mourning (it is almost impossible to speak of death without talking of mourning in one way or another), causing the second half of the book to be extremely repetitive (she sometimes even used the same examples as in the section on death) and (in my opinion) a bit too long. But that really is all the fault I could find with this book. Another reason why this book should be interesting for anyone interested in Victorian death and mourning is that the book contains a world of references to the most important work that has been done with regard to Victorian death and mourning. The drawing up of a preliminary bibliography if one were to write an essay on the subject, would thus become a lot easier with the help of this book. The second book on my list was the Oxford Book of Death, edited by D. J. Enright. Well this book proved to be a major disappointment. I had bought this book in the British Library in London and thought it would fit in perfectly with my subject. I had hoped to encounter some useful literary quotes on death and mourning that I had not yet encountered on my search for material online. Well, I did not even find one useful quote in this book. I suppose it would have made an interesting read if the selection criteria used by the editor had been clear. The writer seemed to have chosen either the most popular quotes or simply quotes of writers that were known for their poetry or novels in which they death played a part. The editor did not look further to see if there might be other, lesser known, examples that would make a far better choice, as they portrayed the mentality of the time in a far better way. Also for a book on death in general the book was primarily dominated by English or American quotes (with the exemption of a Chinese or African quote here or there). Another deficit of this book was that the selected quotes were not ordered in a particular way; had the writer ordered them according to the date in which they presumably written, then it might have provided an interesting overview of the way in which the mentalities on death and mourning changed over time or in which they differed according to country. As it stands now the book is nothing but a mumbo jumbo of quotes. Moreover, it would have done the book a world of good if the editor would have taken the time to insert some explanatory footnotes, as some of the quotes would have fared better when placed within a cultural context. Although The Times, The Guardian and many other quality English newspapers greatly praised this book, it feeling cannot escape me that this book was a rush job. Perhaps a better title for this book would have been the Oxford Book of Random and Popular Quotes on Death. The third book that I read was The Old Curiosity Shop by Charles Dickens. Well the name of the author probably says enough. This is the fourth book that I have read which was written by Dickens and truly this author never disappoints me. The story is about a young girl, Nell, who lives with her grandfather. As her grandfather loses all his belongings (including an old curiosity shop that he owns) with gambling the two are forced to leave London and set out on their journey to find a peaceful place to live. Although the character of little Nell is quite improbable - the children in Dickens always seem little adults, rather than children – one cannot help but feel for her as she struggles with fear and anxiety. As we are wont from Dickens the characters encountered are unique in every way and not easily forgotten. As I do not wish to give away too much of the plot I will only say that, though this book is not for the impatient ones as at times the book is rather slow in its development, it definitely is a good read and well worth the time of anyone who likes Victorian literature. The fourth book that I had on my list was Poetry of Mourning: the Modern Elegy from Hardy to Heaney by Jahan Ramazani. I only read forty pages when I came to the conclusion that it would be useless to read on. The book is not so much about regular mourning poetry, but more about poetry that is mourning the modern era. The bulk of the book is centered around American elegy writing in relation to the First World War. With this the book placed itself outside the scope of my research. For those who are interested in the change in mourning poetry which was caused by the First World War I would highly recommend it, as it is a well written and interesting book. 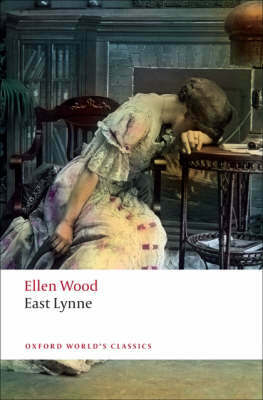 Yesterday I finished reading East Lynne by Ellen Wood a.k.a. Mrs. Henry Wood. This book was without a doubt a surprise. I cannot understand why this book is not part of reading lists in schools and universities as it portrays the Victorian mentality extremely well. The author has a pleasant style, which makes it hard to put the book away, even at those times when not a lot is happening in the book. This book really has a bit of everything: murder, mystery (at times it read a bit like a detective), elopement, a good villain (what is a Victorian novel without one? ), death... This is definitely a must read for any fan of Victorian literature. My apologies for the short review on this one, but I really cannot provide any information without feeling that I am already giving away too much. For this book really is an eventful one. Well dear reader, this is how far I have come with my reading. I hope you have found these short reviews interesting and/or helpful.